Planning travel and locating reliable ground airport transportation will help insure a good vacation. You saved and planned for a vacation trip to Anna Maria Island or a nearby area for your family or loved ones – Either way the Anna Maria Island is a good choice for a family gathering, a romantic getaway or even a possible marriage. While air travel is normally straight forward travelling to and from the airport there are many option that should be considered. Some of the available options are Super Shuttle, Limousine services, taxis, Lyft – Uber, car rentals and all with varying pricing. One of the features of the Anna Maria Island is a free trolley services that runs the length of Gulf drive. There are also free shuttle services throughout the island which will transport you to most places. I mention the trolley and shuttle services because you don’t need to rent a car on Anna Maria Island. 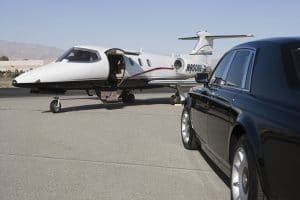 One of the more stressful aspects of executing a good vacation is the issues of finding a reliable transportation company and their drivers (chauffeurs). Trustworthiness, quality of vehicles and professionalism of the limousine company and their chauffeur can plague vacation travelers throughout their trips. Here are some ways to choose ground transportation you can trust. A legitimate car service company will go above and beyond to ensure that their customers are taken care of in the event of an accident or mishap. It’s important to ask pointed questions about insurance when interviewing potential transportation companies for your trips. How much insurance do you carry on each of your vehicles? When was the last time you updated your insurance coverage to reflect changes in policy? What are your procedures in the event of an accident? These questions will help you get a broad perspective on your potential company’s insurance and how they might deal with issues should anything happen during your trip with them. One complaint that many travelers have about ride-sharing companies and cabs is that they don’t feel safe with their drivers. Ride-sharing companies, in particular, have come under fire for having loose guidelines for hiring chauffeurs, leading to numerous complaints of assault or harassment by drivers on unsuspecting customers. Your safety is the last thing you should have to worry about as your travel for pleasure. 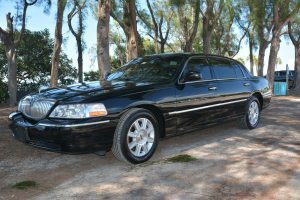 A legitimate transportation or limousine service company is the easiest way to ensure that you have a safe and reliable transportation and a trustworthy chauffeur behind the wheel. 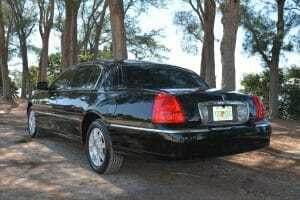 Do you require a background check for your chauffeurs? Do you require a driver’s history report on your chauffeurs? Do you drug test your chauffeurs before they are hired? Do you depend on contracted drivers or invest in hiring professional full-time employees? There’s a big difference between a contracted driver who is hired to handle one trip and a full-time professional chauffeur who has experience in customer service. You shouldn’t pay top-dollar for a car service trip that doesn’t include the services of a true professional chauffeur. You deserve to have ground transportation that you can depend on during your vacation trip, especially during the time crunch between your plane landing and your destination(s). Finding a transportation company you can trust and depend on is the first step in alleviating ground transportation stresses the next time you fly.